Our preschool is a place where young Jewish children receive an exciting, creative and nurturing experience that will provide them with the foundation to grow educationally, socially and spiritually. We offer small classes with excellent teacher/student ratios, a professional staff of early childhood specialists and a facility equipped with the most educationally sound early childhood equipment and manipulatives. 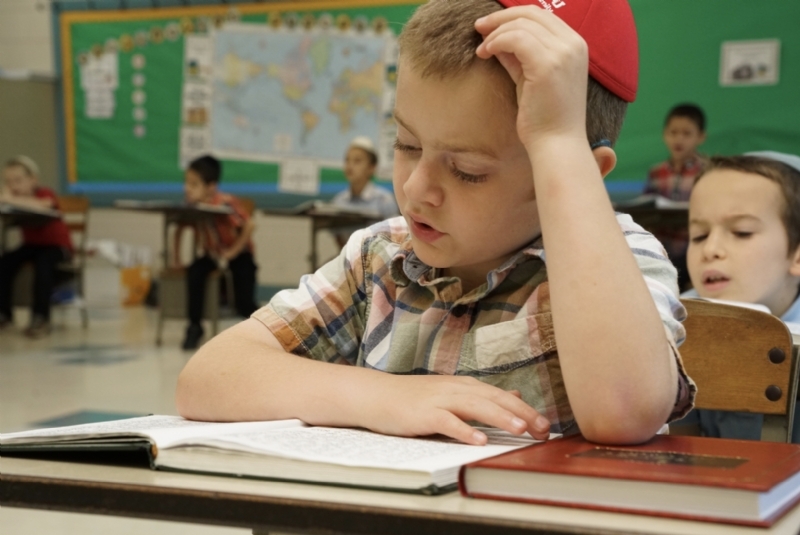 Most importantly, your child will receive a well rounded, enriching education, filled with Jewish traditions and customs intertwined with a wide array of academic subjects, personal development, values, socialization and learning skills. At Cheder we welcome every Jewish child regardless of background or affiliation. Our goal is to make learning interesting, exciting and stimulating through a hands-on approach. We provide for physical, intellectual and emotional growth through drama, visual aides, manipulatives and the use of centers within the classroom. Our teachers are carefully chosen not only for experience and credentials, but most of all for their warmth and caring. Our teachers take delight in the children, care for their individual needs, and work tirelessly to provide the children with the greatest gift of all, a love for learning. Our classes are conducted in a warm and friendly environment that fosters learning and creative expression. In our program, we utilize an extensive supply of early childhood toys, games and manipulatives to give our children hands-on experiences to expand their imaginations as well as to develop their fine and gross motor skills. Cheder is an affiliate of Lubavitch Chabad of Illinois, and is affilliated with the ATT (The Associated Talmud Torahs of Chicago) - Chicagoland's Central Agency for Religious Education and is a beneficiary of the Jewish Federation of Metropolitan Chicago and the Jewish United Fund.